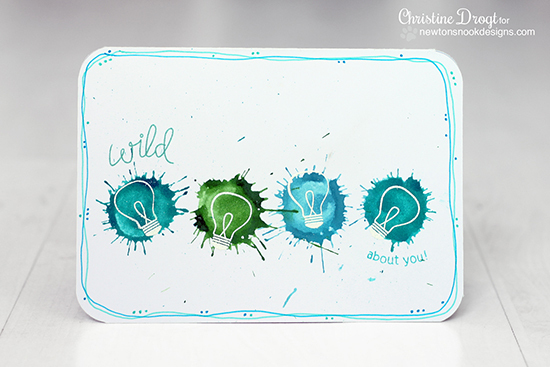 Newton's Nook Designs: These 3 cards by Christine Drogt will light up your day! 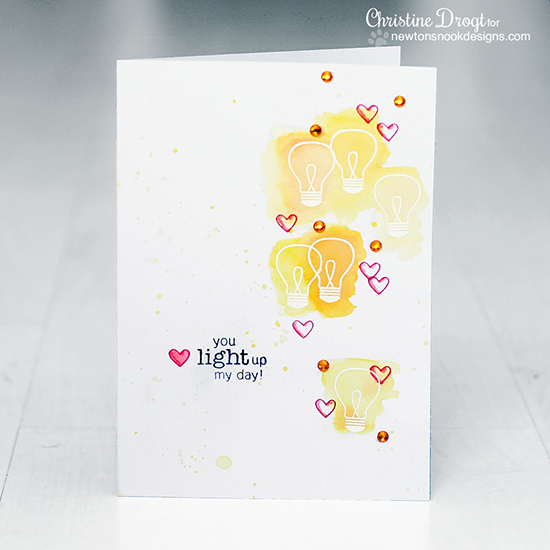 These 3 cards by Christine Drogt will light up your day! Lighting up the blog today with Christine! 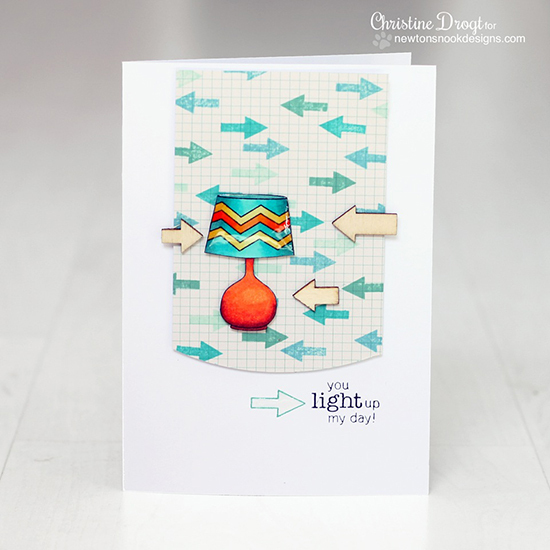 Today I'm sharing THREE beautiful cards by Christine Drogt using our fun new Around the House set! I can tell Christine had fun with this set! Her first card featuring the Lamp and arrow images. It looks like the lamp shade is glossy too! Super fun! This other two cards feature the lightbulbs from the Around the House set! For both she embossed them with using white and colored over them. First with watercolors and then with paint splatters - I'm guessing distress inks? I LOVE both of these! They are so fun and colorful! On the second card she also used the "wild" sentiment from our Wild Child set! Such fun cards, don't you think? I'm totally inspired! To find out more, make sure to head over to Christine's blog, Kartenchaos and say hello! Inky Paws Challenge #10 starts tomorrowMake sure to check back tomorrow to see our new Inky Paws challenge - I think you're going to LOVE the theme this month! Wow!! These cards are awesome!!! Love Christine's clean style...she really thinks outside the box. Duuuuuude!!! These cards are so amazing!!!! I LOVE how bright and bold the colors are!!! I want to play with my stamps right now!!! These are SO cute, I especially love the splatters with the light bulbs! A trio of cards certain to brighten anyone's day - they've certainly done so for mine! Amazing, every one!